How do you define greatness ? One who is the best in what he does ? Numbers and facts of an individual that proves he is great ? One who can arouse emotions in a group of people, every time he comes to do/perform whatever he is good at. The emotion that drives into people when they speak about him/her. I feel its the latter. No numbers, no certificates can make or prove he or she is great. Its emotions that drives through people makes some one great. Its a charisma that cannot be built in one day. He/She has to go through their ups and downs in the front eyes of the people, achieving and losing many things to be able to drive such emotions. People should be able to relate to what he/she does to understand that he/she is great and celebrate his/her greatness. I feel greatness is kind of a perception. Its is not a false perception, it is true perception because it get developed over long period of time, sometime it takes life time of a person. I couldn’t help rubbishing the following article, claiming that Sehwag is greater that Sachin Tendulkar. The numbers the economist have come up with does not have anything to do with the greatness of any individual. They are mere a fact of their performances. Some one with best records need not necessarily be great. It the perception of the people that make individual great. Received the following mail from a friend. After reading it first thought that struck me was, What was the photographer doing ? waiting for the monkey to open the tap ? Does the monkey has more humanity than the photographer ? Two blind persons wanted to drink water at the RagiGudda temple, Bangalore. When they were unable to operate the tap, this mother monkey opened the tap for them, allowed them to drink water, drank some water herself and then closed the tap before leaving the scene. The Kumbh Mela derives from Hindu mythology, which holds that gods and demons struggled over a pitcher, or kumbh, containing the drink of immortality. As the gods raced toward heaven, drops of the sacred nectar spilled out onto four locations on the river: Allahabad, Ujjaink, Nashik and Haridwar. 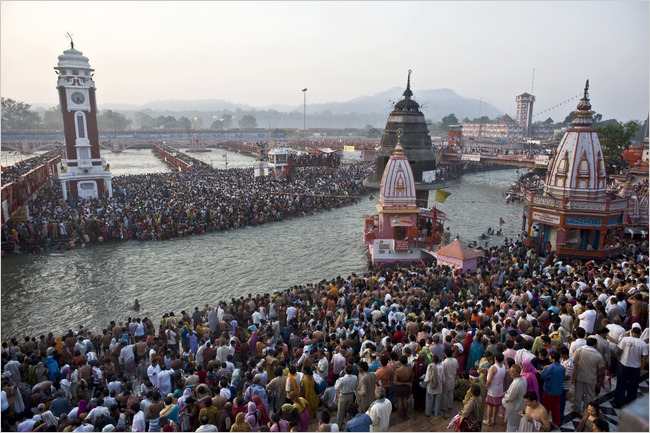 Today, the Kumbh Mela is held every three years, rotating among the four cities, meaning that each hosts every 12 years. Tucked in the foothills of the Himalayas, Haridwar is a challenging place to host tens of millions of people. The Kumbh Mela is conducted in the middle of the city, and many pilgrims insist on taking their dip in the holiest spot, known as Har Ki Pauri, which is roughly the size of three Olympic swimming pools. Just now heard this news on CNN-IBN, 2 tigers were poisoned by the villagers in Ranathambore. What does this tell us about our grand campaign to save tiger. I really do not understand the funda of this Aircel promoted save tiger campaign. This campaign came to lime-light after Aircel promoted it. I believe Aircel did this just for publicity, the strips matched their company logo and I must say they got a lot of publicity out of it. There are Facebook and Orkut groups that publicize the save tiger campaign, I really wonder how becoming a fan or member of such a group, helps save tigers ? Further there is a campaign for blogging on this topic. 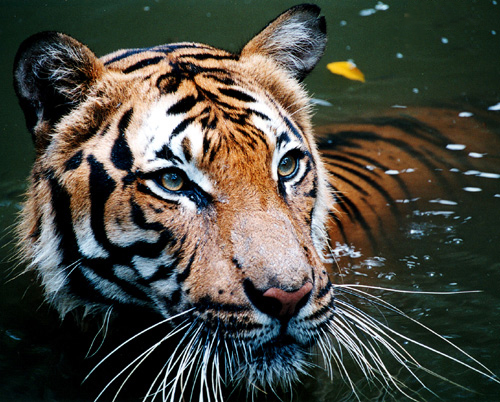 I might sound cynical, but can someone make me understand how all this can help save tigers ? Ah ! there is one straight forward answer, this way we are building awareness. This is utter nonsense. The villagers poisoned 2 tigers in Ranatambore because they felt a danger from the tigers. Oh ! BTW most of these people might not have known about the save tiger campaign, they might not have ever used internet to see the media uproar. These are the people who really needs to be educated, the forest officials should be more alert and informed. I feel to see good results in any kind of save tiger campaign,we need to provide funding to Government agencies and work with them to carry out a good tiger conservation plan. Further educate concerned parties, villagers staying close to forests and the forest officials. I truly feel creating a false uproar with media campaigns does not take us anywhere in conserving our flora and founa. Following link points to a good article by Thomas Friedman on serial innovators K.R. 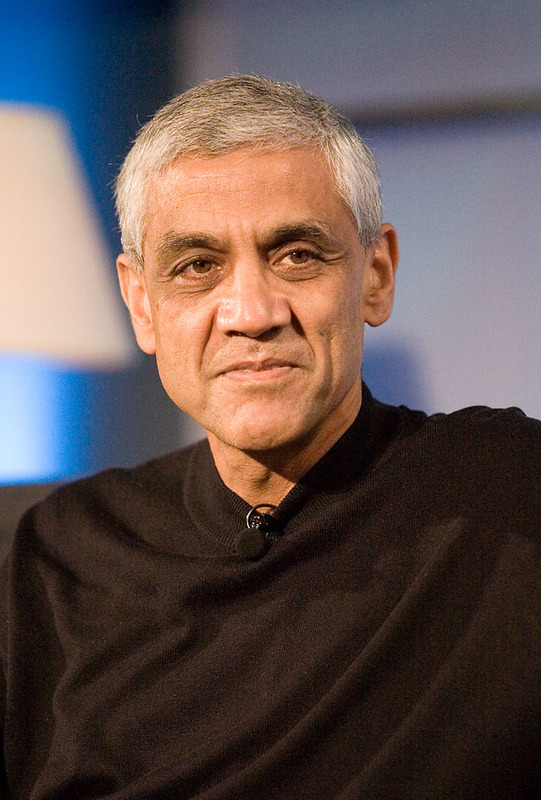 Sridhar and Vinod Khosla on their Green Startups. The article talks about how America even in the times of recession provides scope for innovators to dream their dream. Reading the article I felt really proud for the two Indians, on what they have accomplished. The whole world is talking about green energy and green tech, these gentlemen have done something incredible with doing much talking. Vinod Koshla’s startup Calera converts CO2 (Carbon-di-oxide) generated by power plants to CaCO3 (Calcium Carbonate) bricks, avoiding the CO2 emission to the atmosphere. K.R. Sridhar has been on news after he featured on 60 minutes. His start-up Bloom Energy, has a green solution called Bloom Box. Bloom boxes generates electricity at 8 to 10 cents a kilowatt of electricity using Natural gas or Bio-gas. I wish them a grand success in their endeavors. We’ll need many more such innovation to save our planet and to provide everyone clean and affordable energy solutions. 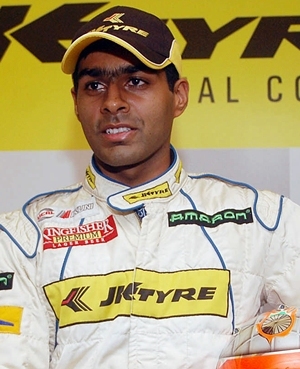 This is great news Karun Chandok will be racing in Formula 1 this season (2010) with the HRT F1 team. The rumors that he might join Force India proved wrong. He will be the second Indian driver to drive in F1. Narain Karthikeyan was the first to drive in F1. He gave a modest performance with Jordan in 2007. Its very heartening to see India taking good strides in a game other that Cricket. Wishing Karun all the very best and hope he will make Indian flag fly high. And Kudos to Mr Vijay Mallya for popularizing Formula 1 in India. End of last season when I heard that Kimi Raikkonen will not be racing in F1 next season, I thought I’ll have no more motivation to watch F1 the next season. Well !! well !! but now, with 3 new teams, McLaren and Meredes forming two different teams, Micheal Schumacher back, Force India doing better than ever and now with Karun in F1 I’m dying to see 2010 season to begin. Its gonna be exciting.